Already known for its series of elegant minimalist white structures that line the beach of Chaweng, Koh Samui Thailand, The Library is a top design spot in the region. Two new “chapters” are being added to the collection with the creation of the Drink Gallery, both restaurant and bar, and the Bookmark suite. This will complement the hotel’s 26 suites/cabin studios and will be the largest and most luxurious of The Library. 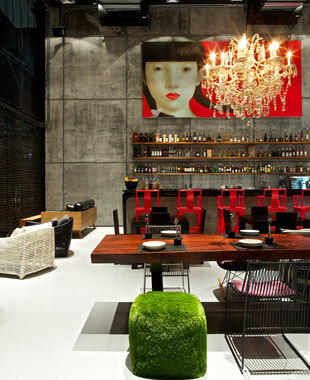 An ideal place to enjoy a heady mix of design and artistic creativity, drinks and original cuisine. 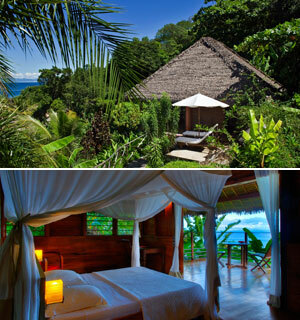 Maradiva crowned « World’s Leading Luxury Island Resort ». On the occasion of the 19th edition of the World Travel Awards, the equivalent of the Oscars in the tourism sector, the Maradiva Villas Resort & Spa has been voted “World’s Leading Luxury Island Resort”. 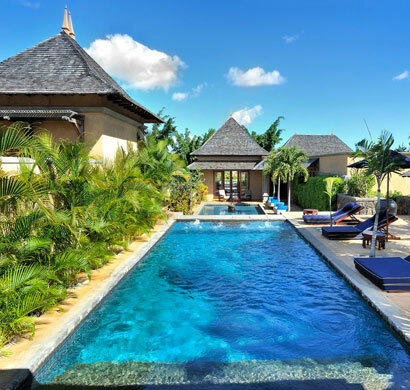 Nestled between sky and sea, the luxury resort sits majestically facing the Indian Ocean and the imposing volcanic peaks of the island of Mauritius. Located in Wolmar, to the west of the island, this divine site is composed of 65 villas with private swimming pools, ideal for guests’ who seek privacy. The harmony of the place, the perfect comfort and the fragrant vegetation make it a veritable Garden of Eden. Tsara Komba Lodge rewarded for its sustainable investment in Madagascar. The Tsara Komba Lodge has received the Worldwide Hospitality Award for all its actions in favour of sustainable development in Madagascar. An action that falls within the calling of Tsara Komba, a patron and first partner of The Villages and People NGO since its inception. A private chauffeur on your iPhone. Impossible to find a taxi in Paris on New Year’s Eve? Don’t worry, Chauffeur-Privé will take care of you. With their chic and practical application you can go to your party and go home in peace, without waiting hours in search of a potential taxi. Users of Chauffeur-Privé can choose their vehicle, depending on whether they are travelling solo or in a group (up to 7 people). Prices are agreed beforehand, before validating the route, so there are no unwelcome surprises. And there are no additional costs or surcharges. As for cancellation, it is possible and free up until the moment the car has arrived at the point of retrieval. 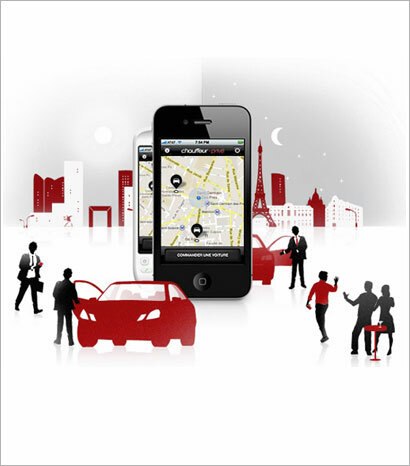 This private transportation service is available via the free Chauffeur-Privé application on iPhone, Android and on the mobile site for BlackBerry and Windows Phone, at m.chauffeur-prive.com. The domain of the 3 Valleys, the largest ski area in the world, has launched an application for the iPhone, iPad and Android that aims to highlight new and exciting routes to skiers. The free application, available in French and English, provides a simple check to determine the course most suited to their profile. 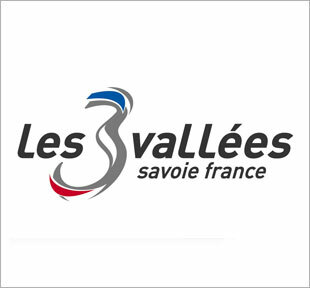 According to their level of skiing (beginner, advanced, controlled, or expert), open trails and lifts, their preferences (groomed trails, sightseeing, travel time, time of arrival) and the choice of destination, the application provides the best route to take advantage of the 3 Valleys. The cherry on the cake is that every day the application also provides a list of the latest groomed trails. at the Baros Maldives Hotel. 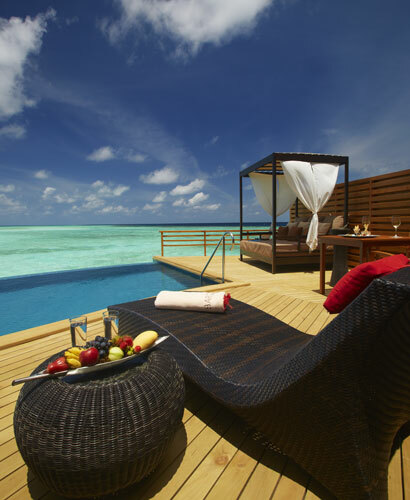 The Baros Maldives Hotel has expanded its accommodation with five overwater villas with pools. Each of these luxurious villas has a large wooden deck inlaid with a private pool suspended over the lagoon, directly accessible by a few steps. Located at the far end of the pier, these villas are ideal for customers seeking the purity and natural beauty of the Maldives. Available 24 hours a day, 7 days a week, a dedicated butler is on-hand to greet guests and answer all their needs. For guests who simply dream of relaxing by their private pool, lulled by the sound of lapping waves and watching the ballet of tropical fish, this type of accommodation is the epitome of simple luxury. 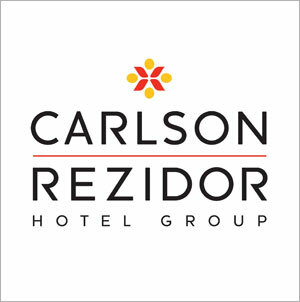 An ideal gift idea for Christmas, the Rezidor Hotel Group is offering personalized gift cards for stays at the Radisson Blu, Park Inn by Radisson and Hotel Missoni across Europe and the Middle East. This card is customizable with a few clicks on the group’s website. With a photograph that customers can select and change from their computer or gallery, each gift card is unique. Customers can then choose the amount they wish to put on the card (from 20 to 150 euros). You can gift anything from a thermal spa treatment in Ireland, a shopping weekend in London or a romantic dinner in Paris. A temporary lounge at the Eiffel Tower. 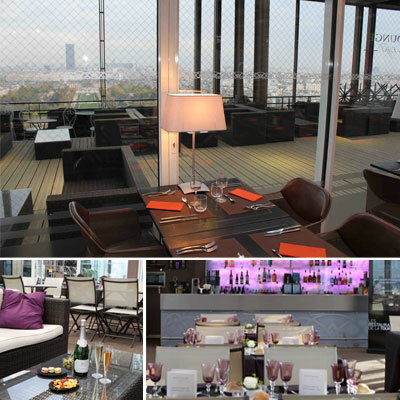 58 meters above the ground on the first floor of the Eiffel Tower the temporary Eiffel Lounge has been constructed. This place, open until March 2013, is composed of two areas: a fully glazed room, allowing visitors to enjoy exceptional views regardless of the orientation of the table, and an open-air terrace, which is a fully-fledged garden hanging above the Champ-de-Mars. The decor has deliberately taken advantage of the simplicity and clean lines of the Tower, leaving the spotlight to the view. A modern bar, with bright, cheerful and warm colours, punctuates this universe made of ice and transparency. Tall tables and relaxing leather seats allow you to savour the good times in comfort. 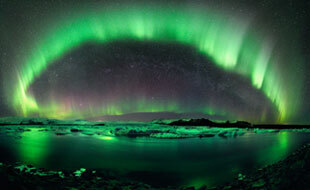 Every eleven years, thanks to increased solar activity, the aurora borealis accelerates to the amazement of all. 2013 promises to be an exceptional year for observe this boreal spectrum, particularly in February and March. Island Tours, the specialist of Iceland, is offering a winter getaway to explore this exceptional natural phenomenon. 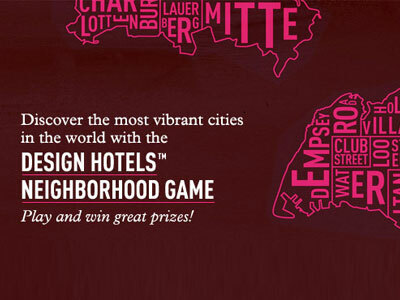 Design Hotels launches the Neighbourhood Game. Neighbourhoods create the specific identities within cities, each with its own style and particular population. Increasingly, travellers are looking for privileged access to these areas to better understand the destinations. Design Hotels is launching a great game to test their knowledge of the most exciting cities in the world and their neighbourhoods. Each week and each month, there are more prizes to be won including a two-night stay at a participating hotel group. Two new addresses in Milan for MGallery. 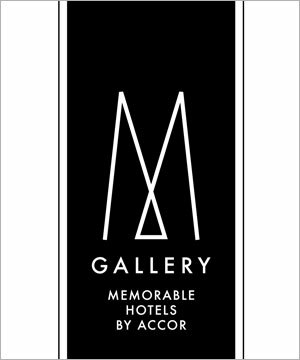 MGallery, a collection of upscale hotels from the Accor group, now has three exceptional hotels in Milan: Uptown Palace and Grand Visconti Palace recently joined the Grand Hotel Villa Torretta. The Uptown Palace, located just minutes from the fashion district that is known all over the world, is an “urban-chic” address. 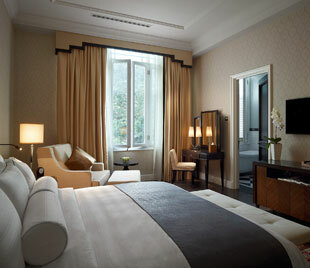 The establishment of 158 rooms and suites is based on a palette of warm tones to create a charming and elegant space. Chic and cosy, the Grand Visconti Palace hotel represents the perfect balance between the traditional charm of a historic building and the comfort of a modern hotel. In the 1920s, the 2500m2 of courtyard was home to the Mulino Verga, a flourmill. Now transformed into a beautiful Italian-style garden, it is the focal point of the hotel onto which most of the 172 rooms and suites, as well as spa and restaurant, look onto. 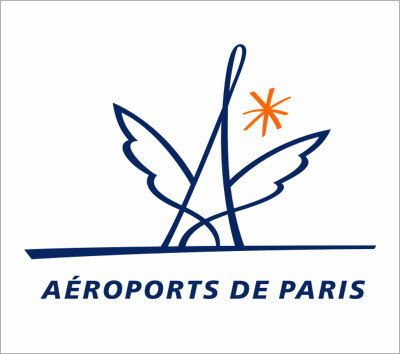 Michel & Augustin join with Aéroports de Paris for the Rêves association. Until the 15th of January 2013, Aéroports de Paris is welcoming the bad boys of good taste, Michel et Augustin, who are selling their famous Petits Carrés (caramel with a pinch of salt and milk chocolate) in almost fifty outlets in Paris airports. For each product purchased, €1.50 will be donated to the Rêves association, which fulfils the dreams of sick children. In 2011, this operation funded the realization of twelve dreams of sick children including Romane (8 years old) and Maéva (10 years old), to swim with dolphins. Opening of the Majestic Hotel Kuala Lumpur. Built in 1930, the building that houses the Hotel Majestic Kuala Lumpur has been restored to its original appearance in order to preserve its cachet. Located on 1.5 acres of gardens, facing the old colonial station, the hotel is characterized by its five-storey “Majestic wing” which houses the hotel’s suites, the “colonial Café”, the bar and the tearoom. The only hotel in Kuala Lumpur to hold a place amongst the Leading Hotels of the World, the Majestic has become known as one of the most beautiful hotels in the world. The opening of Majestic also coincides with the inauguration of the Air France flight, which will serve the capital of Malaysia from April 22, 2013 from Paris-Charles de Gaulle with three flights a week. 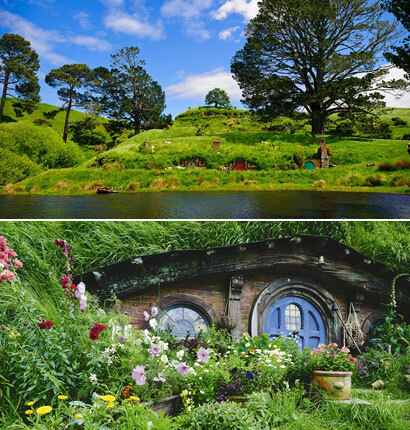 Out of the most popular locations to film a movie, New Zealand is definitely at the top of the list. Its magnificent landscapes offer a variety of exceptional natural scenery and make up the beautiful days featured in epic films worldwide. With Red Carpet Tours, fly in the footsteps of Frodo and the Fellowship of the ring through the lands of Middle-earth, dear to director Peter Jackson, whose last sequel is set to be released on French screens on December 12. You will have the opportunity to explore the area from the rural town of Matamata, on the North side of the North Island. The green and hilly landscapes and the imposing tree overlooking the lake are well suited to the representation of the County and the village of Hobbiton with its 37 Hobbit “holes”. 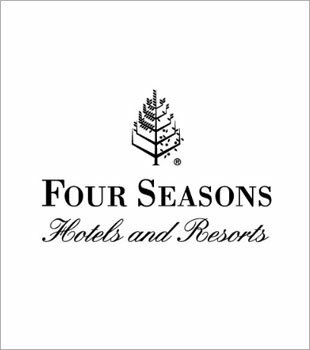 at the Four Seasons Resort Mauritius. Young golfers can now enjoy exceptional facilities along the coast of the Indian Ocean. Open to all young players, whether beginners or already involved in competitions, the Kids’ Golf Academy at the Four Seasons Resort Mauritius at Anahita offers supervision by a team of professionals responsible for setting up courses for different levels. A golf academy, a driving range and practice greens are among the facilities available. The Kids’ Golf Academy caters for children and adolescents aged 5-16 years and offers courses for one or three days so that they can be comprehensively introduced to golf or simply have the chance to perfect their game and follow in the footsteps of champion Ernie Els, the designer of the course at the resort. 300 tables to enjoy with CHC Gourmand 2013. 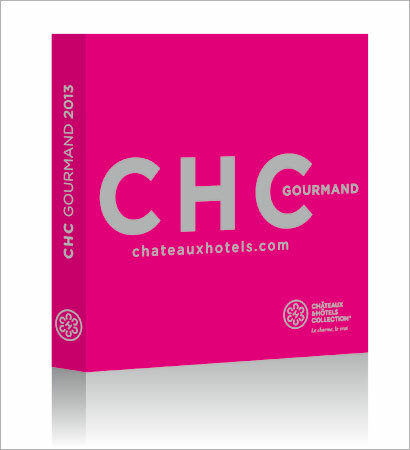 The 2013 edition of CHC Gourmand covers nearly 300 remarkable tables, forty of which are totally new, selected by Châteaux & Hôtels Collection under the guidance of its president Alain Ducasse. This careful selection focuses on the essentials: it highlights the richness of French cuisine, the gourmet bistros to exceptional tables. With its small portable format and pink cover, the CHC Gourmand guide presents 22 restaurants of excellence, 93 grand tables and 150 cheap eats as well as so many opportunities to explore the personal and authentic cuisines of talented chefs that can also discovered on your iPhone through the “CGourmand” application, available for free on the App Store.